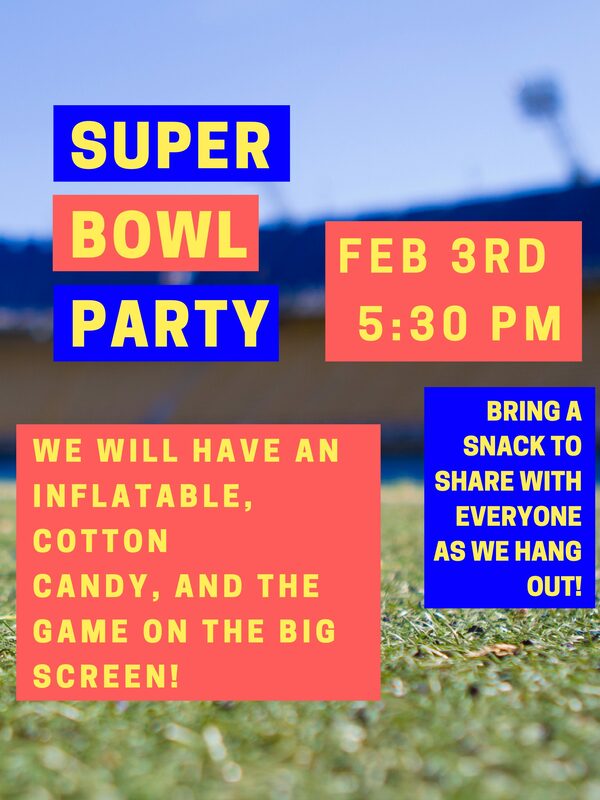 We will be having our annual Super Bowl Party in the FLC. We will meet for kick off at 5:30. We will have the game on the big screens, and an inflatable bungee run/ jousting. Please bring a snack to share with everyone as we hang out. Parents, feel free to pick your youth up at half time, or anytime throughout the game. We will be hanging out through the duration of the game, so they are more than welcome to stay for the whole thing or not, the choice is yours!